It’s a meeting of the minds between from left to right Nick Stokes (George Eads), Julie Finlay (Elisabeth Shue), D.B. 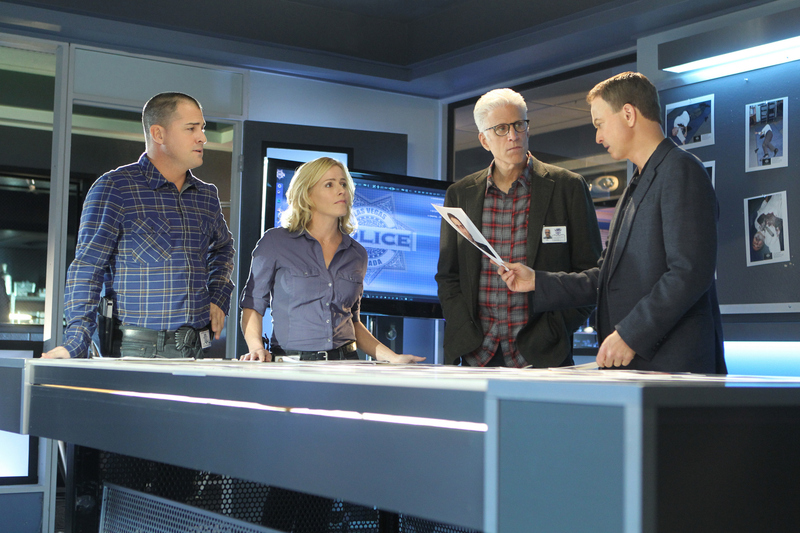 Russell (Ted Danson) and Mac Taylor (Gary Sinise) as they all try to figure out clues to finding Taylor’s missing girlfriend in the first of a two-part episode. Photo: Monty Brinton/CBS ©2012 CBS Broadcasting, Inc. All Rights Reserved.